Visiting San Francisco for business or travel is a fantastic experience, but it can also be stressful. Attempting to find somewhere reasonably-priced to live is hard enough, but luckily Trinity offers fully furnished rentals with a one-month minimum stay. This is the easiest and most cost-effective way to live in San Francisco for a temporary period. Unfortunately, choosing how to spend your free time in this city can truly be a challenge for any new-comer. With the massive quantity of options to choose from, it is hard to spend your limited time wisely. 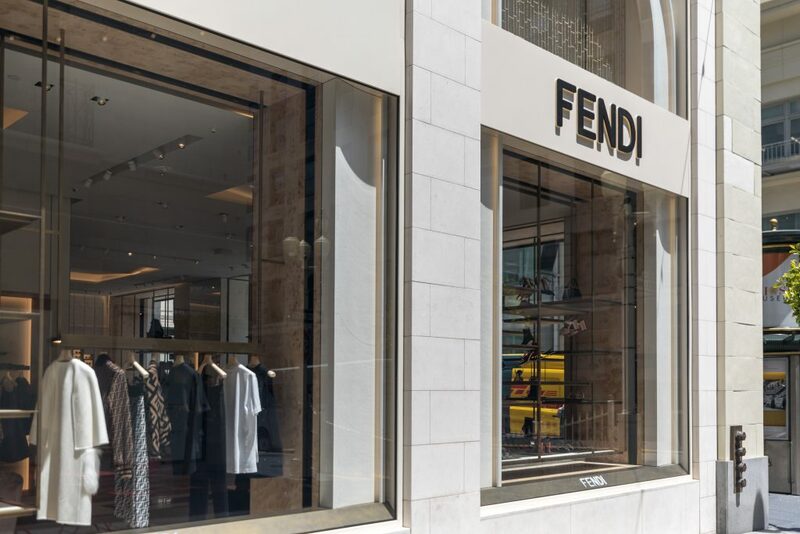 For this reason, we have compiled a list of the best places to visit in San Francisco for travelers and locals alike. 1. Golden Gate Bridge – The first and most obvious attraction to visit is The Golden Gate Bridge. No-matter the crowds or weather, this bridge is a gorgeous landmark that is sure to amaze you even with heavy fog in the forecast. Between Fort Point National Historic Site, Baker Beach, Crissy Field, and the famed Golden Gate Overlook, this is a trip you cannot miss. Whether you’d prefer to walk or drive, it is impossible to regret taking a trip across the most photographed bridge in the world. The view from our Marina Cove Apartments at 1550 Bay St.
2. Ferry Building/Ride – Are you hungry for one of the best markets in the world? The Ferry Building at The Embarcadero hosts a plethora of small restaurants that are available for the public to enjoy. With views across the bay and food for everyone to enjoy, this option can be more enjoyable for some than the touristy and often crowded Pier 39. Additionally, if you are looking to take a Ferry to Alcatraz, The East Bay, or Marin, you can catch a boat here. 3. Golden Gate Park – A green oasis in the heart of an urban jungle, Golden Gate Park stands out as the premier choice for outdoor recreation in San Francisco. Loaded with hiking and biking trails, Golden Gate Park can make you forget you’re in The City. 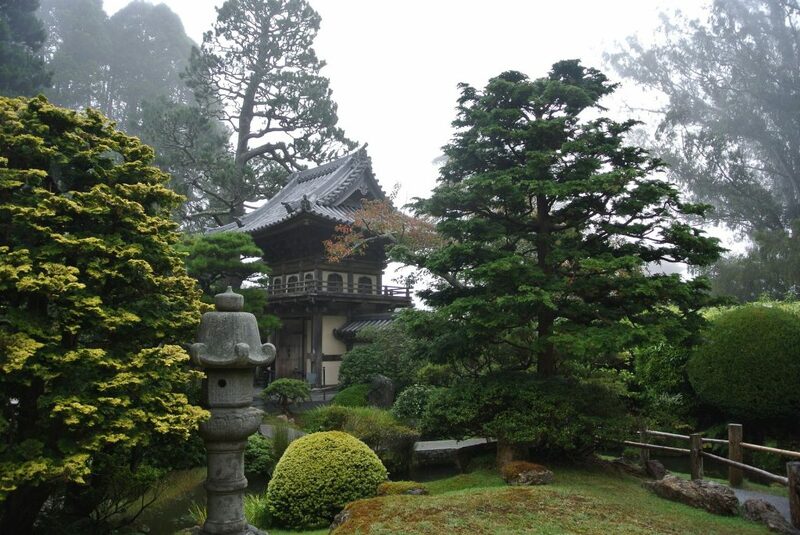 The park also includes popular attractions such as The Japanese Tea Garden, Conservatory of Flowers, and the California Academy of Sciences. 4. Mission Dolores – The Mission District is a distinct neighborhood in San Francisco due to its Mexican influence, culture, and history. The area is named after Mission San Francisco de Asis or Mission Dolores, and it is the oldest surviving structure in San Francisco. The local cuisine and popularity of sunny Dolores Park has led to a neighborhood frequented by locals and those looking to get a true taste of The City. 5. The Castro – Named after The Castro Theatre, this vibrant neighborhood is considered “The Gay Capital of the World” due its history as a sanctuary for gay men discharged from the military during WWII. Now filled with color, exciting shops, and restaurants, The Castro remains a mecca for equality. 6. 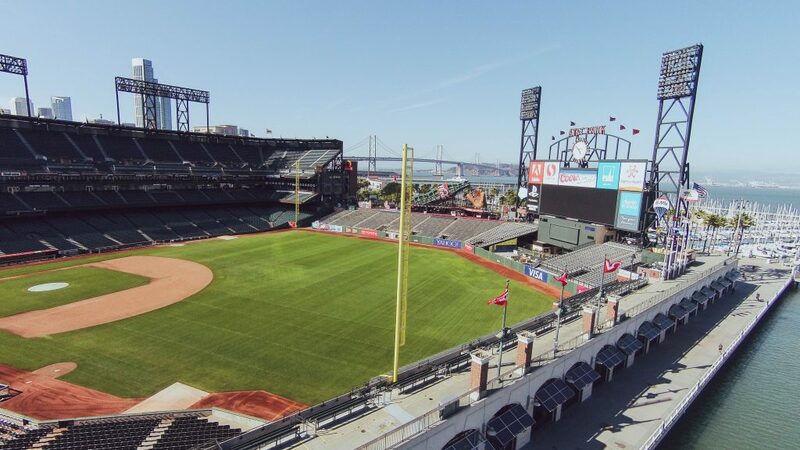 AT&T Park – Whether or not you like baseball, the San Francisco Giants’ AT&T Park is one of the most remarkable sporting venues in the entire world. Located in South Beach, the Giants’ miraculous stadium offers waterfront views looking out upon the Bay Bridge and greater Bay Area. With access to bars, clubs, and all kinds of entertainment around the park, fans can sometimes forget about the baseball game being played on the field. 7. 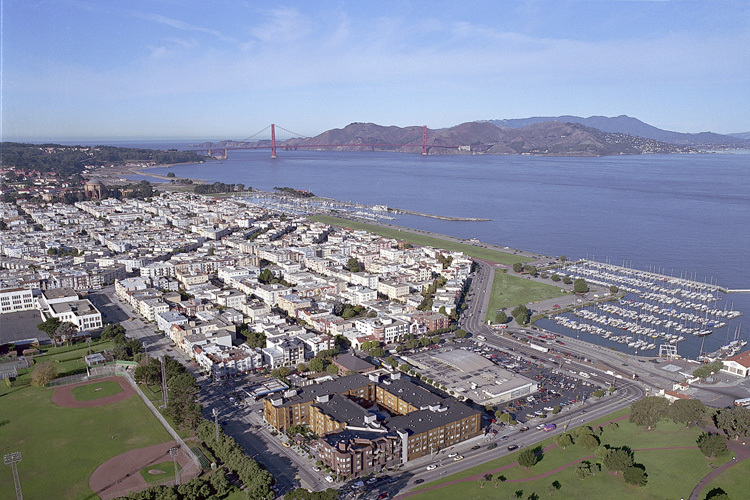 The Marina – In the northern section of the city near the Golden Gate Bridge, The Marina is a fantastic choice for going out at night or soaking up the sun during the day. 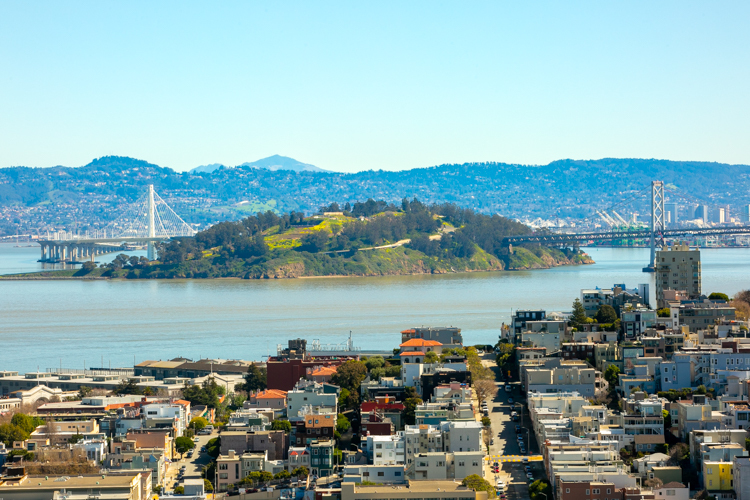 This beautiful landscape includes Fort Mason, The Palace of Fine Arts, and much more. Plan a day trip to the neighborhood to enjoy a picnic on the Marina Green while sailboats float by. Our Marina Cove apartments are next door and offer tremendous views across The Bay. 8. Union Square – Filled with the finest shops and eateries, Union Square is one of America’s best places to go on a shopping spree. Although always busy, a quick stroll through Union Square is sure to do you no harm. After all, it is located near the headquarters of many organizations in the Financial District. 9. Ride a Cable Car – Unique to San Francisco and undoubtedly fun, Cable Cars are a great way to see a lot of San Francisco at once. 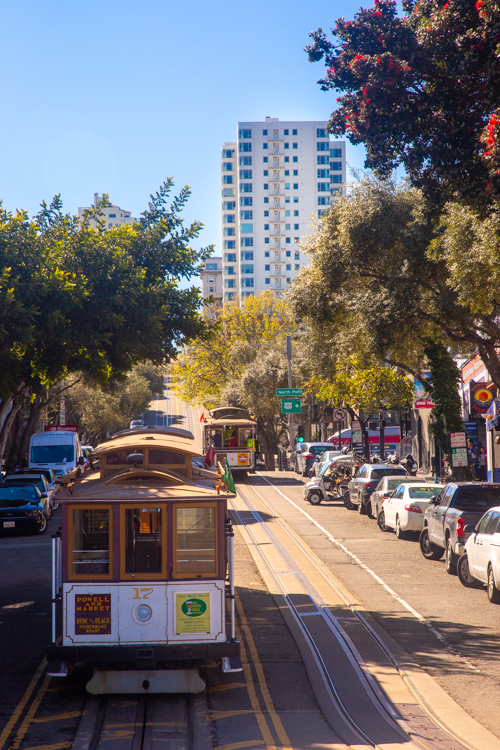 Check out this Cable Car map to see where you can catch these historic streetcars. 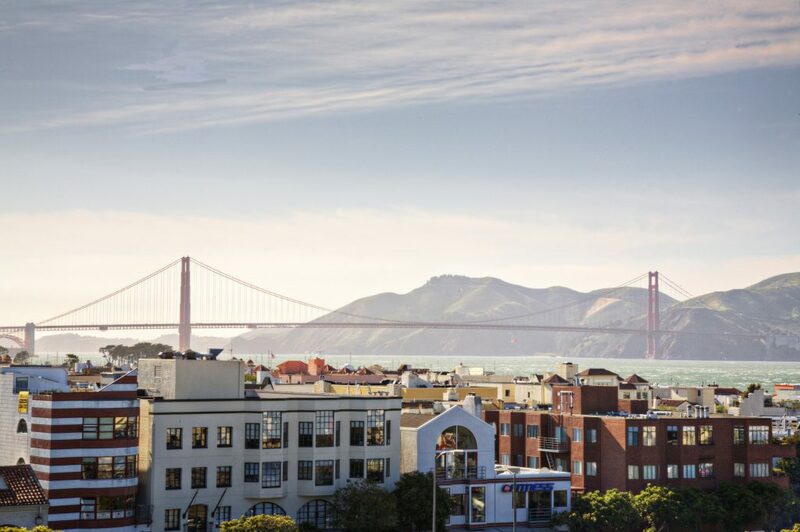 We recommend you take a Cable Car from Ghirardelli Square up Russian Hill on Hyde Street passing our 1000 Chestnut Street property and the world-renowned Lombard Street. 10. 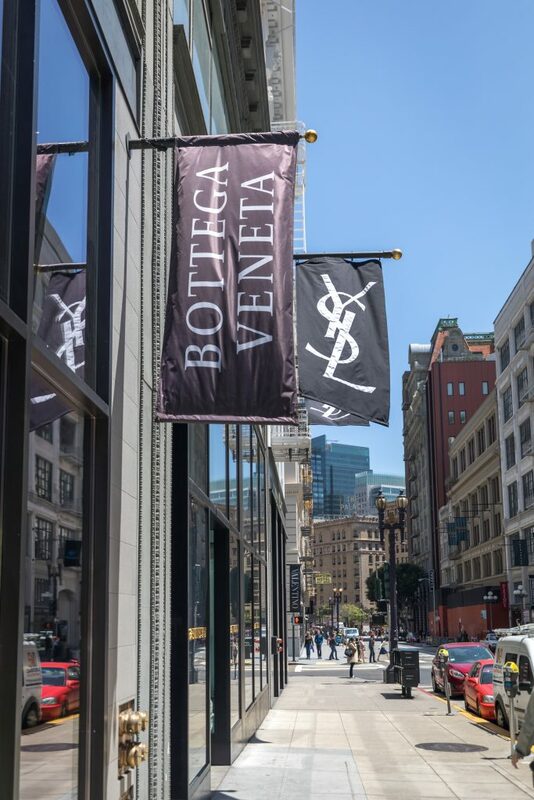 Piazza Angelo – San Francisco’s newest tourist attraction is located within mid-market just across from Civic Center. This beautiful courtyard, surrounded by three glistening towers, is home to the largest statue in San Francisco. 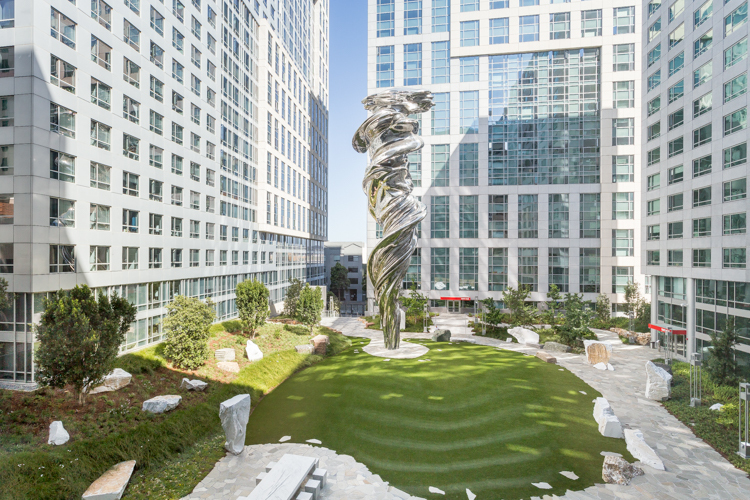 The Venus statue stretches 92 feet into the sky, offering striking views to any passerby. Come catch a glimpse of Trinity Place to see a new piece of San Francisco that even some locals don’t know about.